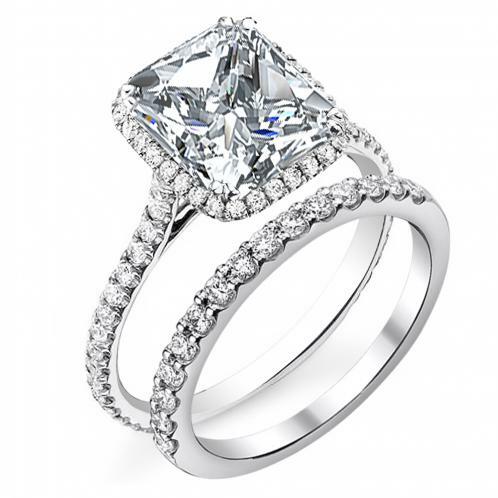 Always be on her mind when you purchase this luxurious halo, u-prong, pave natural diamonds engagement ring. This ring features a delicate center stone that is surrounded with luminous round side stones that appropriately travels down the shank making for a splendid finish and design. This well designed ring will really look amazing on your bride-to-be’s finger and it will be a gift that she never forgets. Customize this ring and make it truly come from your heart with the help of Diamond Mansions' Rings, who specializes in an “A+” experience and matching your love to perfection!